I didn't have any idea what this machine was when I rang about it, so I did the annoying thing of asking the owner to read out the synth parameters over the phone. 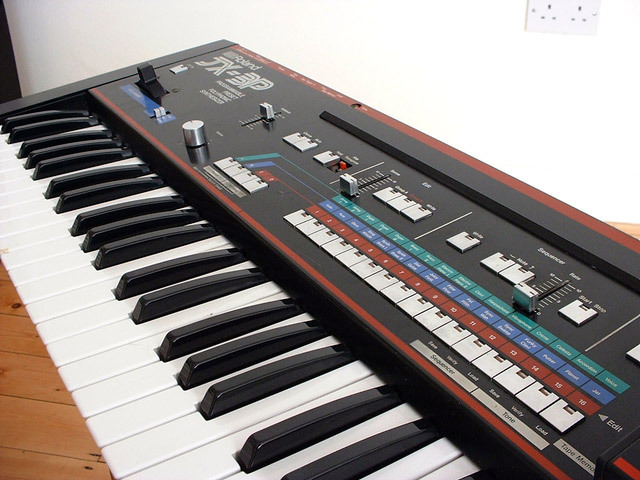 This was important, as the owner of the synth lived a hell of a long way away, in what might be deemed "bandit country". I got out there, tried out the machine, and promptly bought it. The owner thought it was more of an organ, and was slightly impressed when I tested the filter sweep. The price I paid was at least £100 under the odds for a full JX3P and PG-200 Programmer combination, and he even threw in a stand. If you think that was harsh of me, bear in mind that he had received a number of enquiries but no-one else had called out. I reckon his distant location and lack of real familiarity with the Roland had worked against him. Anyway, this is the most fun polysynth I have. The oscillators can be synced and "metal" synced, which produces fantastic sounds. It's got pitch, filter, and amplifier envelope options (but only one adsr set, although it does have a gate feature). 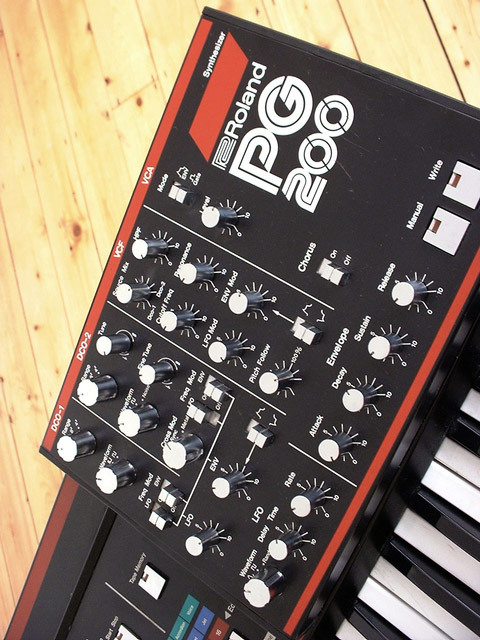 Basically, it's got enough stuff to take it out of the "limited" poly-synth range and into the "scream-bleep" poly-synth range. 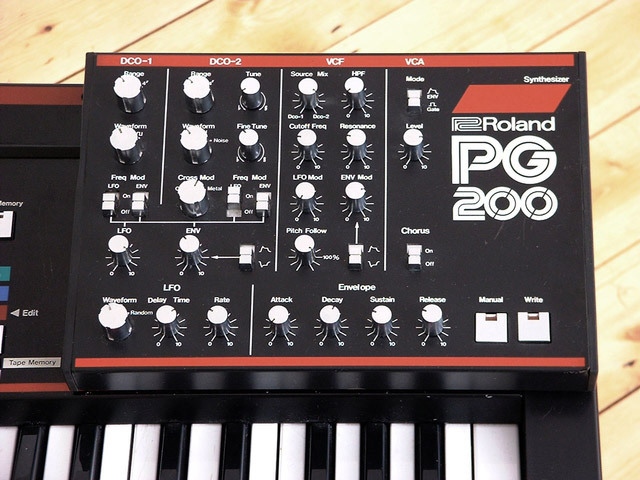 I gigged it for years, as it was the most flexible of my analogues. It also had 32 memories and tape back-up. Without the programmer it would probably be quite annoying. Update July 2002: Oh Great. It's broken. Anyone know about problems with these things freezing when they're turned on? Update March 2003: Hurray. It's back. Kryten (who also fixed my micromoog) succeeded in tracking the problem down to a dead motherboard chip (connected with battery backup of the sounds). He also fixed a bunch of other things, so now I know what the brilliance slider does. After not listening to the 3P for quite some time I got it home, plugged it in, and set a quick sequence going. Result - fantastic. Truly this synth is a diamond in the rough. 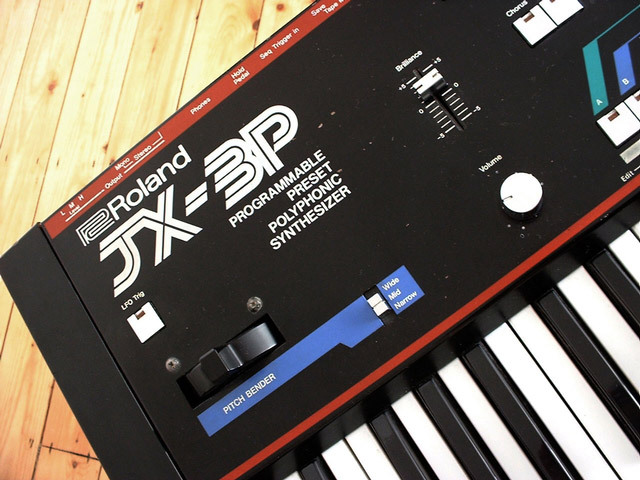 Dead keys on your Roland JX3P? Chances are you can fix them for free. All you need is a Cornflakes box. First, open up your JX3P by removing the screws via the access holes in the plastic side-panels. This will allow the entire control panel to tip backwards on its hinges. Next, remove the plastic key in question (it's pretty easy, they're just latched in). Underneath the key you'll see a rubber circle, which is the key contact. Power on your JX and press this with your finger (dont touch anything else - you might die). Theres a good chance that this contact will produce sound. If it doesnt, then apologies, but you have to visit a real repair centre. If it does make sound, cut a thin strip of cardboard (Cornflakes box) about 1.5 cms long, and the same width as the bottom of the key. Sellotape this strip to the bottom of the key, lining it up above the rubber contact. You should find that the reassembled key once again triggers perfectly due to the extra pressure being exerted. If you like, you can go on to superglue the strip in place for a more permanent fixture, and perhaps consider using thin plastic sheeting instead of cardboard. The choice is yours. 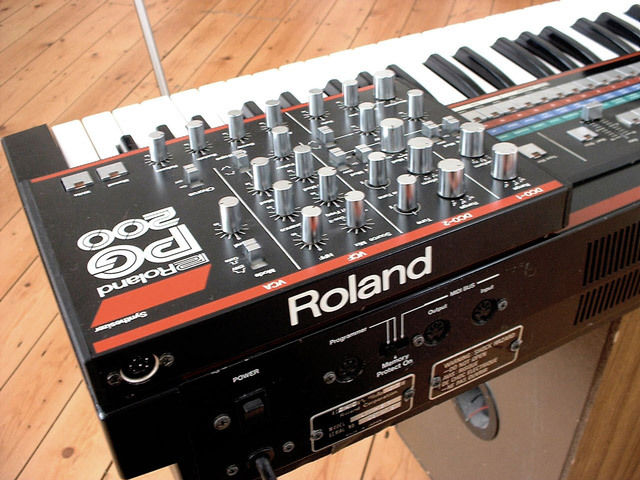 Presenting the Roland Logo in EPS format. Enjoy!!! 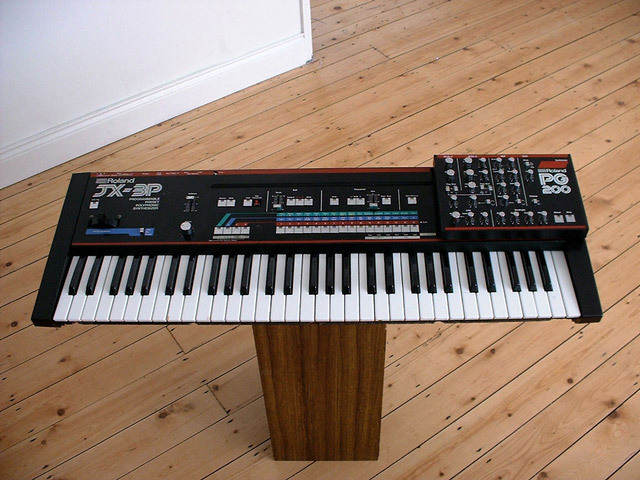 Spare Parts for the Roland JX3P - Most parts should still be available. But I got a replacement for my missing panel button from these guys in Oz (they ship fast).